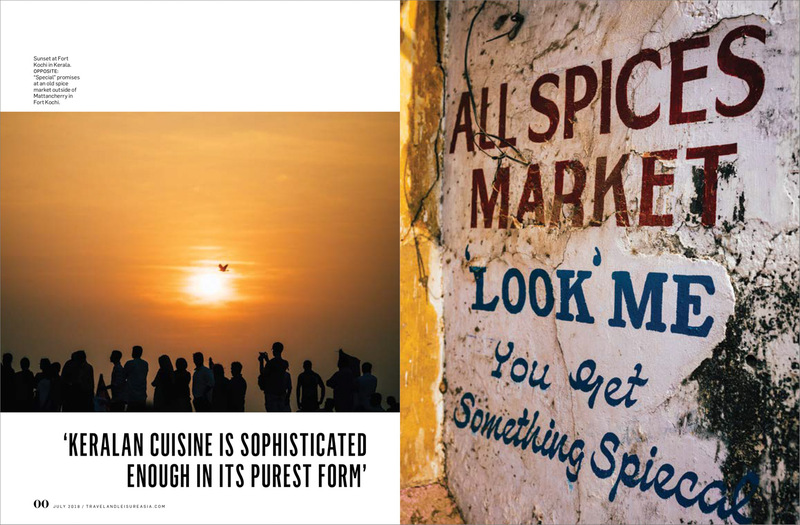 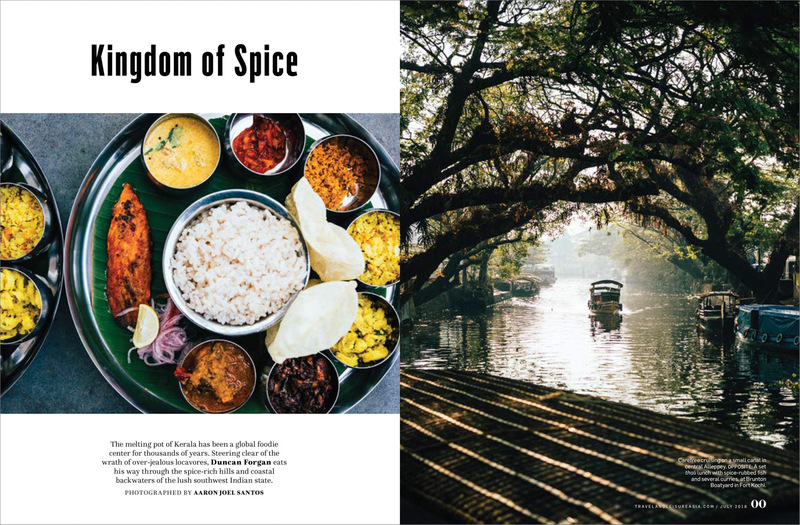 Some tearsheets from a recent trip to Kerala, India, where I spent a few weeks traveling across the state for a story on the cuisine and culture of the region. 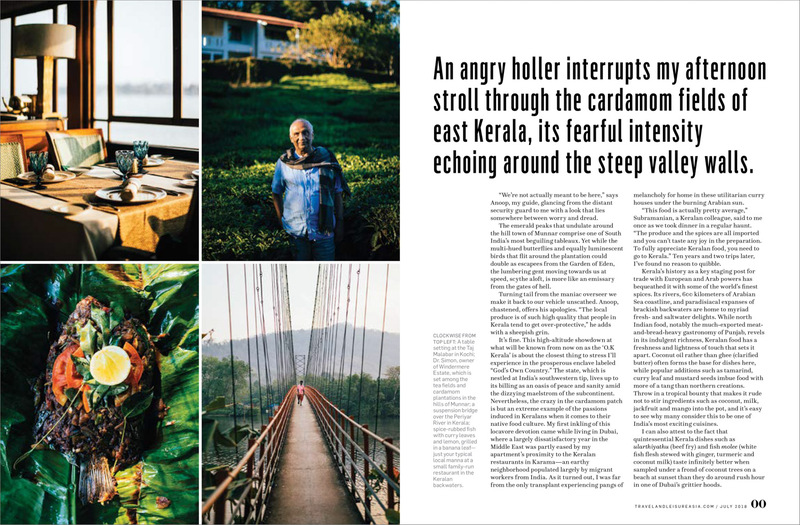 From the backwaters of Alleppey to the mountainous tea plantations of Munnar and most places in between. 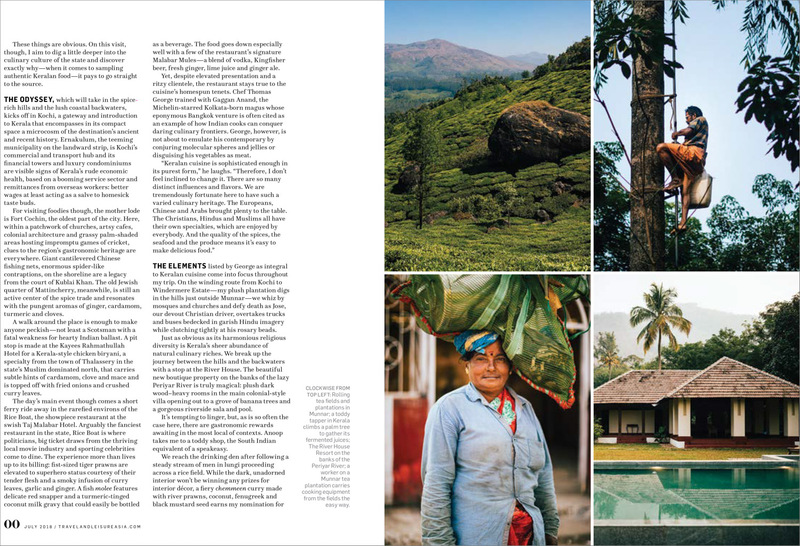 I’ll post some of the outtakes in a separate blog, so it’s just these simple layouts for now. 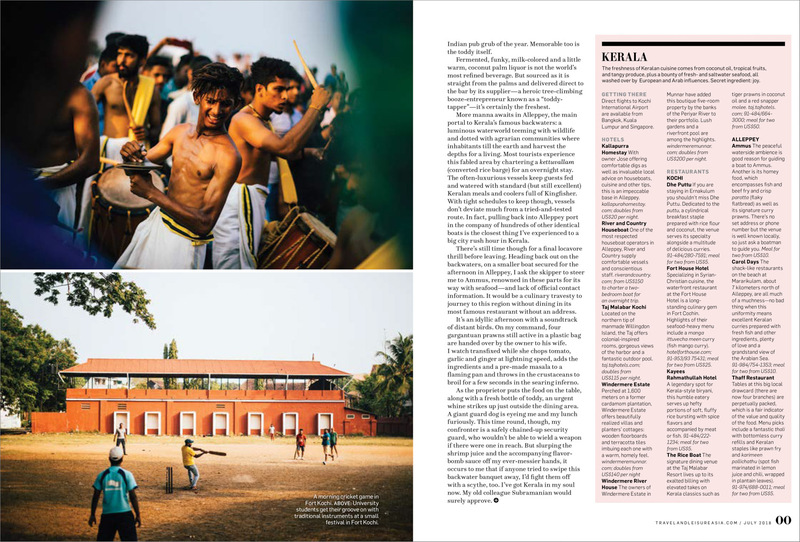 Thanks to Travel+Leisure Southeast Asia for the beautiful design.